Place beans in a steamer basket steamer fitted over a pot of boiling water and cook until crisp-tender, about 7-9 minutes. In a large skillet over medium heat melt butter with almonds. Cook 1-2 minutes until butter is browned and almonds are fragrant. 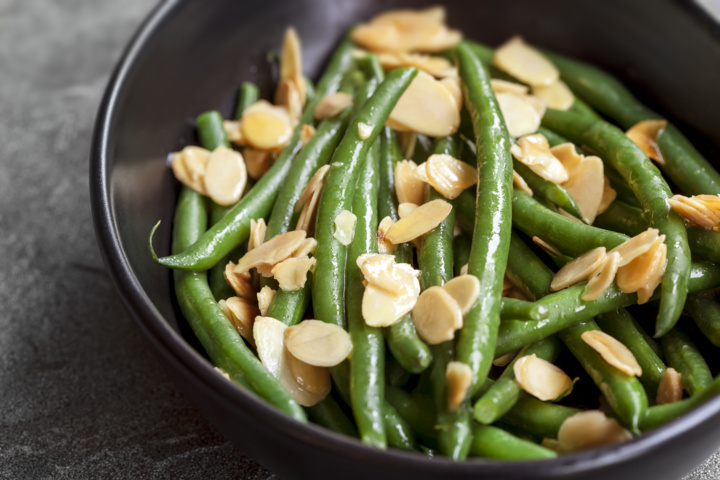 Add green beans to skillet and toss to coat. Season to taste with salt and freshly ground black pepper.